Why does it seem that with every new issue of Inconvenient History, instead of being awestruck by some new found history and research that shakes the core of our conventional and ‘mainstream’ beliefs, we are instead witness to the perpetual revisionist attempts to ignore or hand wave ‘inconvenient’ information? Be it Joe Bishop’s failures on the open-air shootings, Dalton’s spinning of Goebbels’ 27 March 1942 diary entry, or Kues’ oddball attempts to prove ‘resettlement’ via tertiary and hearsay sources while ignoring German wartime documents, Inconvenient History has done more to show the weakness of revisionist arguments than their bona fides. In the latest issue, we are provided yet another letdown of revisionist honesty, particularly in Jett Rucker’s “profile” of David Irving. In his article, fan Jett Rucker briefly details the history of and persona that is David Irving. The profile is largely focused upon Irving’s activities from the late 1980s, when Irving endorsed Fred Leuchter’s report about gas chambers at Auschwitz-Birkenau, up until his arrest and imprisonment in Austria in the mid 2000s. The crucial event that Rucker omits in his description however, especially in a Holocaust denial journal, is that Irving largely recanted his former denial several years ago! It was during this trial (in Austria) that Irving displayed a willingness to revise not only the work of other historians, but his own as well. Citing his review of the papers of Adolf Eichmann, he testified, “I said that then based on my knowledge at the time, but by 1991 when I came across the Eichmann papers, I wasn't saying that anymore and I wouldn't say that now.” And this was by no means the first time. Under rather less duress, he removed from the second edition of his bestseller Hitler’s War all references in the prior edition to gas chambers, so impressed was he by the report and testimony of Fred Leuchter, at one time acknowledged as America’s foremost supplier of execution hardware, who announced his conclusion that the Germans did not have or use homicidal gas chambers during World War Two. I made a mistake by saying there were no gas chambers," he told the court, which he addressed in fluent German. 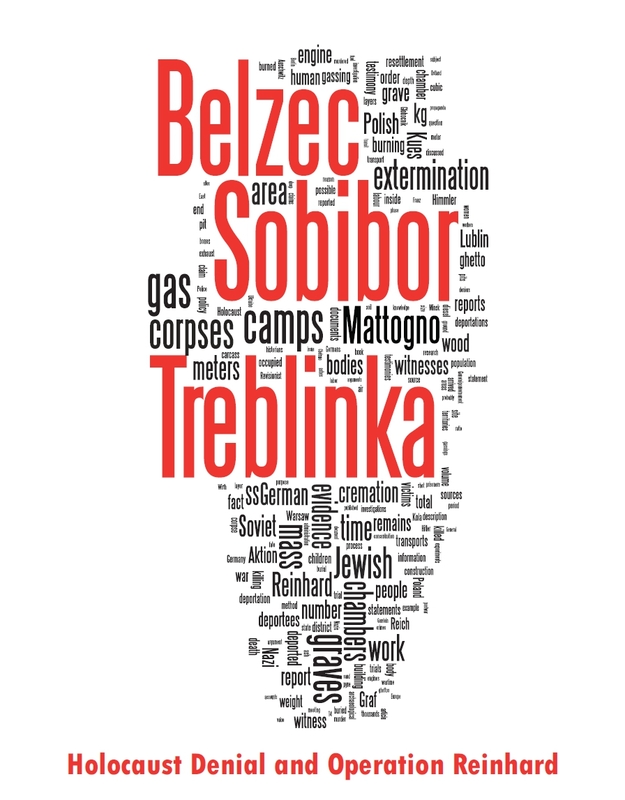 "I am absolutely without doubt that the Holocaust took place. 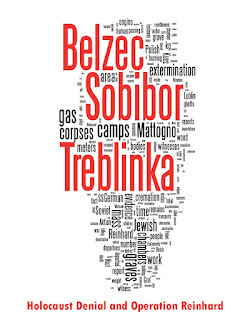 After his release, including on his public speaking tour in Europe and the United States, Irving was more specific about his beliefs, such as his recognition that many hundreds of thousands of Jews were gassed at the Aktion Reinhard camps in Belzec, Sobibor, and Treblinka, in addition to his acceptance of gassings in the Bunkers (not in the crematoria) at Auschwitz-Birkenau. 3. Considerably fewer than the claimed Six Million Jews were murdered or otherwise killed during the Holocaust. Any of these beliefs qualifies its adherents for labeling as “Holocaust deniers” in the demonography of those whose office it is to defend the Holocaust mythology. Thus, Rucker simply disregards Irving’s present beliefs, instead opting to freeze the writer prior to his recantation of Holocaust denial. Perhaps Rucker wanted to make Holocaust denial look more credible and thus distorted Irving’s present position, as continuing to have former revisionist adherents cast away their doubts makes the remaining true believers look all the more foolish. Or perhaps Rucker simply didn’t want to bring up the conflict that ensued between Irving and remaining revisionists once Irving recanted. For instance, Paul Grubach wrote several discourteous and abuseful open letters (in the words of Irving) challenging Irving while noxious boycotts (again, Irving’s words) of his work were demanded by the moderator of the CODOH forum, Jonnie Hargis. Even Rucker’s fellow Inconvenient History colleague Juergen Graf called Irving a coward, dishonorable, and no longer credible in an article for the journal. So I guess when you can’t bully someone to remain a Holocaust denier (as other revisionists have tried), one can just ignore their corrected positions and pretend like they still are in your ranks, as Rucker has done. Just discovered your blog, and have been reading with much interest!